Many of us fly F2C, Vintage A, Class II Team race, Classic B and other racing classes but often yearn to go back to the beautiful and graceful designs of the 1960’s and 70’s. 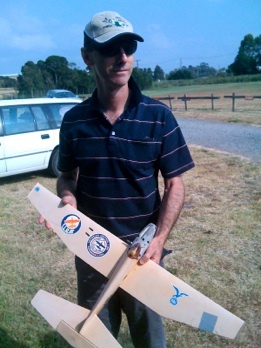 The aim of Australian Classic FAI team race is to re-create FAI team racing as it was before 1970, when in the eyes of many people, models were more beautiful, less expensive, and flew over grass at speeds that most people can cope with. 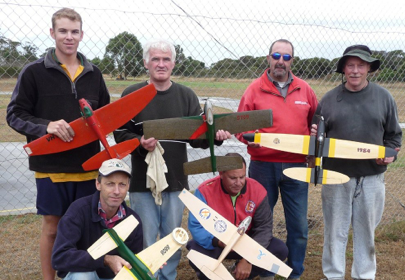 The main aim of this site is to give those interested in Classic FAI a base from which to get further information about where to get stuff, such as motors, pans, plans, cut outs (fuel shut-offs) and general paraphernalia to get things started. A team racing site may have a short grass or hard surface. Where the surface is grass, the circles marked on the ground may be simplified by making them all the same colour, and by eliminating the broken line “safety circle” at 19.1m. The choice of models designed before 1970 is encouraged, and such designs may be modified provided all other provisions of these rules are met. “Own design” and designs never before published are allowed. Asymmetry in the plan view is limited to a maximum of 15mm. V tails shallow or steep angled are permitted. 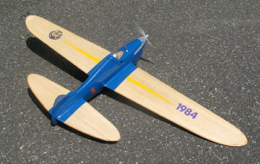 Construction materials for models are unrestricted, except for the following which are not allowed: Components such as wings or fuselage moulded from carbon fibre, all-metal wings. Aluminium or Magnesium pans are allowed. Models need to be designed and constructed in such a manner as to be in the spirit of the rules. No flying wing designs allowed. There is no restriction on exhaust outlets. TAIPAN up to series 13 Diesel. Other engines may be approved upon polite request. The full set of rules are available to view at Team Race under classic FAI at the CLAMF web site. Every week or even at lesser intervals we will put up a blog with some comments on Classic FAI racing. If you wish to comment drop me a line, the WebMasters address is on the contacts page, or just click the email me icon below, and we will include your comments, about Life, The Universe, and Everything, but just remember the answer is 42! To get to the blog just click on the image to your left and we will take you to the most recent one.